13-pcs one Set. 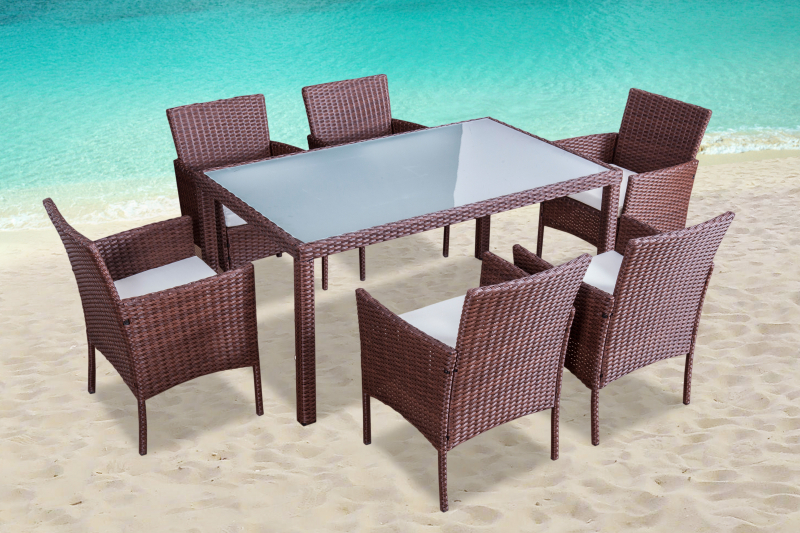 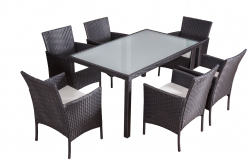 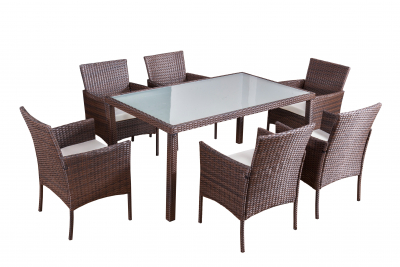 Dining Set Mexiko in brown. 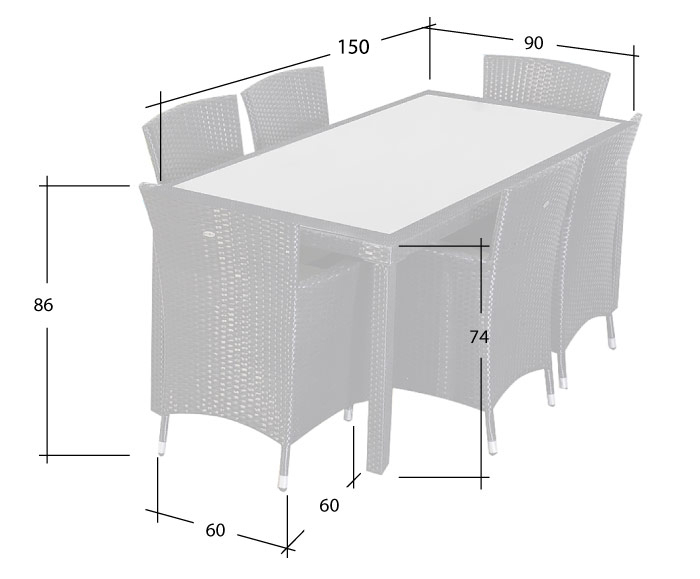 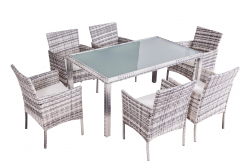 table with templ glas (5 mm glas)(Size: 90 x 180 x 74 cm).